This year, we achieved our best GCSE results yet, so we caught up with some of our Year 11’s to find out how they did, and how they’ve found studying at a UTC. Here, George tells us his favourite part about being at ENL and his plans for next year. I think my favourite part of being at the UTC was socialising, I got to see my friends every day. As well as the practical learning – I really enjoy engineering. Next year I’ll be moving to Leeds to start an apprenticeship. From September, I’ll be doing Mechanical and Electrical Engineering for J N Bentley. I’m looking forward to starting a proper job and just being in a work environment. What would be your advice for students starting their GCSEs? Don’t worry! Focus on what you’re best at and stick at what you want to do. All of our Year 13 students studying Level 3 Cambridge Technical Engineering Qualification have performed on or above target and have also achieved 100% pass rate in their Level 3 Maths qualification. These qualifications equip our students with the knowledge and confidence to enter the world of work, ensuring they are ready for the next steps in their future career choices. 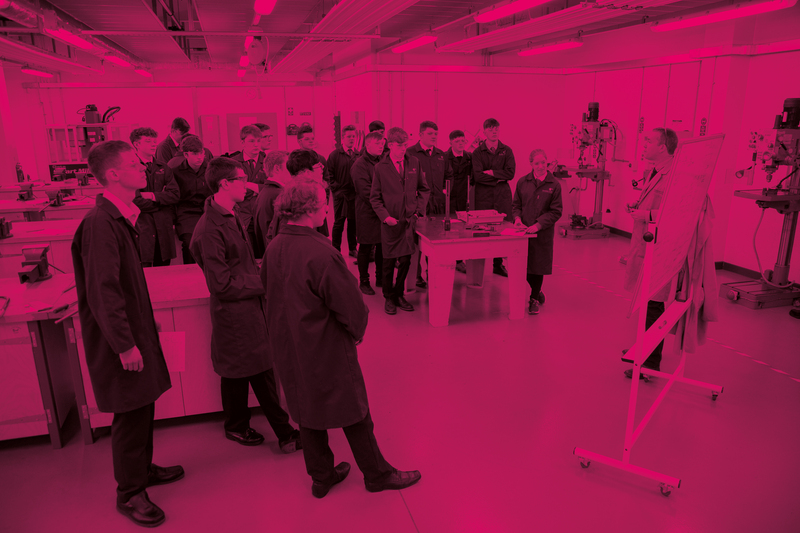 All students have the opportunity for an apprenticeship role or job after leaving the UTC, therefore these qualifications are important for their development. Industries in which many of our students have built their careers in include: The Navy, Cristal and British Steel. On Saturday the 4th of August, the UTC will be hosting North Lincolnshire Council’s Big Summer Get Together. The aim of the day is to bring together residents of all ages and backgrounds within the local community for fun, food and friendship. The event is free and will feature live music from local bands The Dirty Pitchers, Ramble Gamble, and performances from singer Miss Marina Mae. There will be a variety of activities and fun for all the family with crafts, games and gardening sessions and also live drumming sessions. Everyone is welcome and food and drink will be served throughout the day. Please join us from 11am to 4pm, booking not required! Lab Rascals will be returning to the UTC to deliver their interactive hands-on Science experiments throughout August. We are thrilled to be hosting these sessions for children in the area as an exciting school holiday activity. The UTC and Lab Rascals have been working together in partnership to promote STEM activities to children and families. Sessions throughout the Summer will be taking place every Tuesday and range from making bath bombs to Lab Rascals impressive planetarium show. There will also be exciting dry ice experiences and “wow” factor demonstrations to inspire children of all ages. Booking is required and the event is on our own and Lab Rascals Facebook page. Chloe was chosen by British Steel to take part in their work experience programme. We asked questions about her overall experience and what her favourite part was. She explained how the skills she had learnt at ENL UTC had helped in the process. Well done Chloe! What was your role? How have you found your placement overall? I was a part of the central engineering team, focusing on engineering drawing and gas pipes. I really loved the placement, it was a great experience and taught me a lot. British Steel was a wonderful place to be. Describe a typical day – what kind of things did you get up to? I would go on site with a supervisor and assess the problem reported by the inspector. Then I would go to the main department to look at the photos of the issue and create a report outlining the problem, and information on the correct materials required. Being accurate and clear was very important. What’s been your favourite part? Getting to work on an actual site as I see different sides of engineering. I loved meeting the engineers and working with them. I enjoyed learning to do engineering drawing accurately. Finding the correct part for the gas pipes. Making sure my engineering drawing was accurate. What skills have you gained from the placement? And what skills did you get to put to use that you picked up from the UTC or elsewhere? I used the maths I studied in school, which was a little difficult but it was interesting to see how engineering and maths connect. I have already done engineering drawing in class but this placement let me improve that skill and use it in real life. Now I feel confident enough to say in class ‘this is how you do it’. How did you secure the placement? What was the process? British Steel came to the UTC and spoke about the placements on offer, so after that, I applied. Speaking to them helped me decide to apply and do well in the application process. I completed an online application that wanted to know my details, qualifications, achievements, and why I am applying. Following that, I was interviewed and then completed a health and safety test that introduced me to the site. The interview was okay and I think it was a good experience. Having completed the placement how do you feel towards engineering? Is engineering something you want to pursue? I’ve wanted to do engineering since I was ten, before that, being a firefighter was the aim! I really enjoy engineering and I feel there are so many different areas to choose from, so there’s something for most people. It’s not repetitive so you’re never bored. Do you think this placement has benefitted you in terms of looking for a job or going to university? Yes, I know I want to do an apprenticeship and in the future, I want to look at opportunities at British Steel. Do you have any advice for other girls considering engineering or doing a work placement? Just do it! You need to be strong and hardworking. I think the UTC is the best place to be if you want to do engineering. There are not as many girls as boys here but I think that the girls do progress and have the chance to do so. British Steel is the best place to go for a work experience placement! 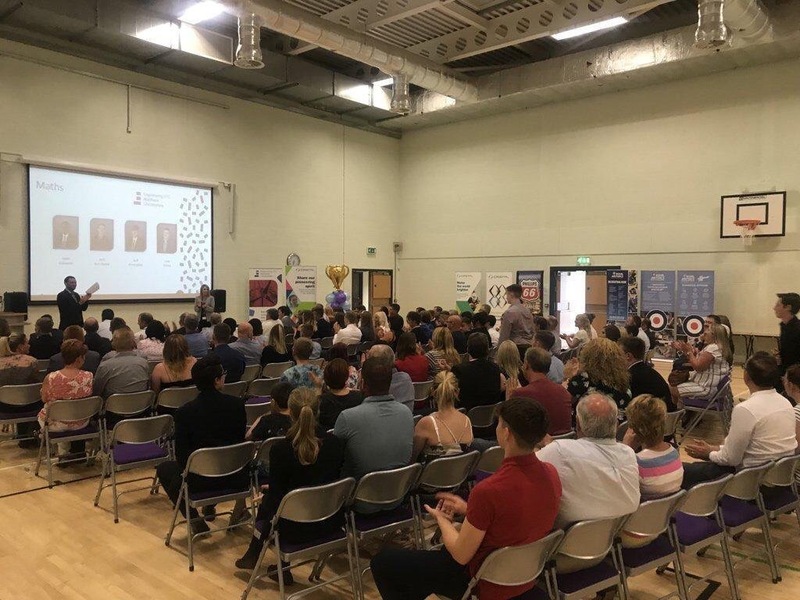 The UTC hosted its annual awards ceremony at the college, which recognises the hard work and effort of the students throughout the academic year. It brought together staff, students, and industry partners to celebrate the successes of the college and our students. Students collected awards for a range of subjects and employer engagement. There were also awards for ‘Outstanding Student’ in each year group as well as special recognition. 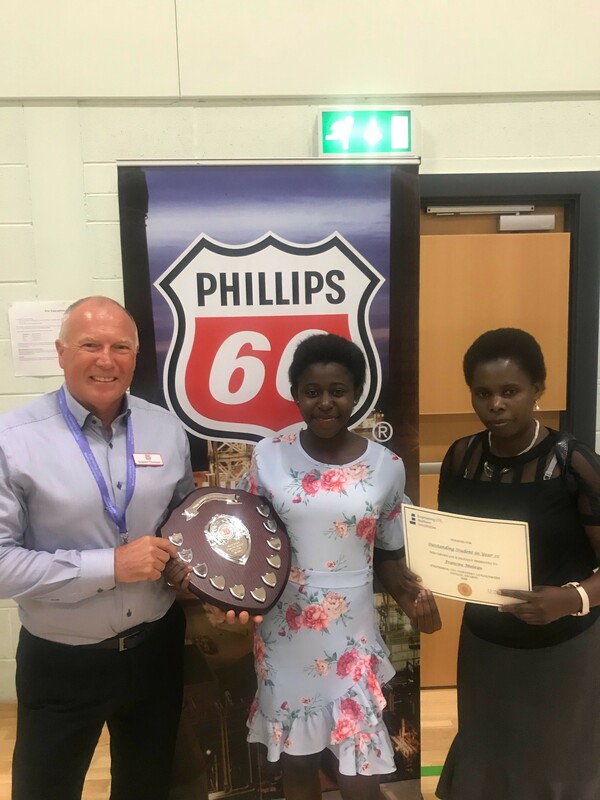 The biggest award of the evening was the Phillips 66 Industry Partnership Award which was rewarded to Francine Mulaya in Year 10, who was recognised for being a fantastic ambassador of the college, demonstrating the UTC’s core values and embracing every opportunity for self-development. 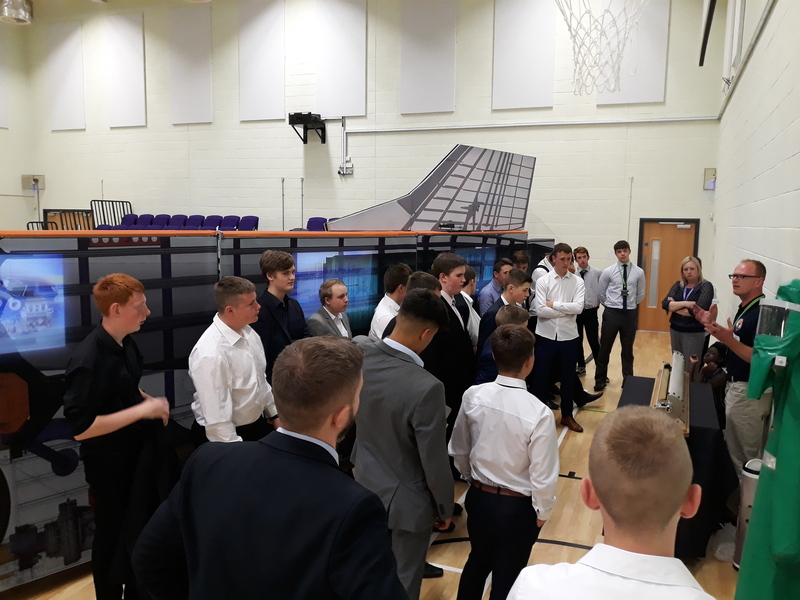 The college’s industry partners and local companies were present, including: Phillips 66, Cristal, RAF, ECITB, Pepperells Solicitors, and Vision for Education. Olivia has secured a position with British Steel following a long application process, which involved a numerical test, assessment centre and interview. 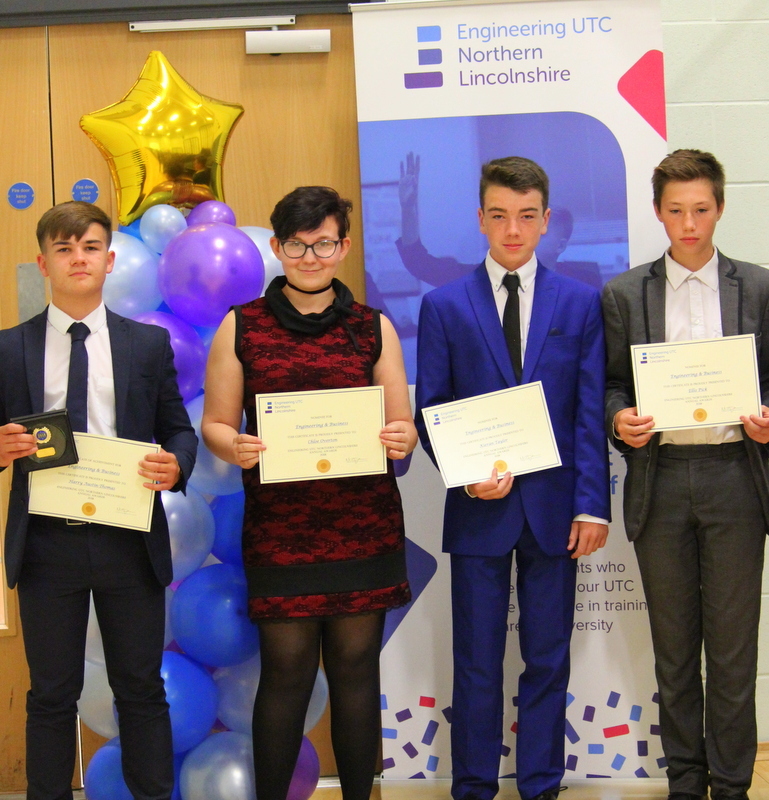 Olivia joined the UTC after completing her GCSEs at Outwood Foxhills Academy and studied the Level 3 Cambridge Technical Diploma in Engineering. Throughout her time at the UTC, Olivia participated in many activities to develop her skills and experience. She was part of the Student Leadership Team; organised various events at the UTC, such as the Women in Engineering event featuring Nicky Morgan MP due to her passion for supporting women in STEM subjects. She also participated in an engineering workshop for year 7-9 students at St Lawrence Academy. 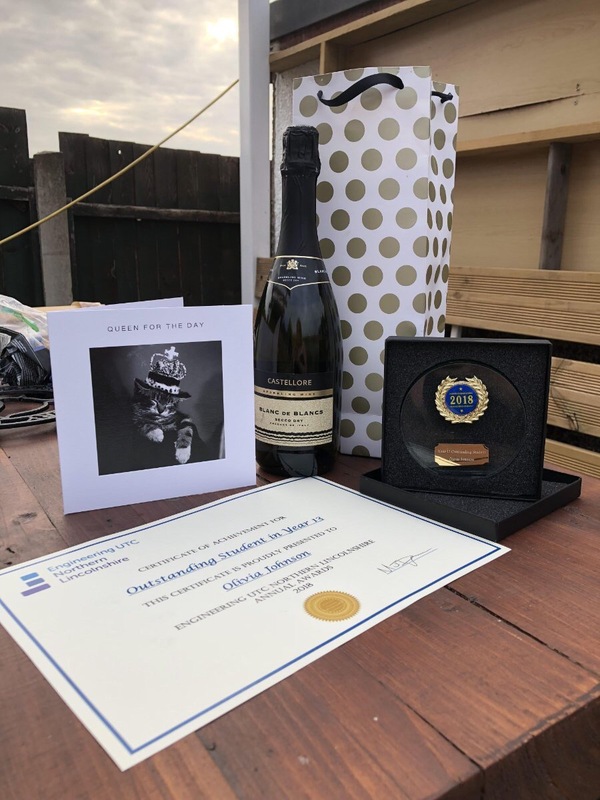 For her industry led work, Olivia gained a CCSNG Health and Safety passport; a two-day industry recognised health and safety qualification which was sponsored by our industry partners Jacobs and ECITB. In addition, she attended lunch invitations with a company representative and board member from our industry partner Phillips 66. Olivia’s efforts have made a tangible impact at the UTC and so she has been recognised through a nomination for the Outstanding Year 12 Student award for her hard work and positive attitude, and she also won an award from the Institution of Engineering and Technology for the Humber Local Network, a local prize for student excellence. She was also successfully named joint Outstanding Year 13 Student at the end of this academic year. Why did you choose to study at the UTC? My sister chose to study her GCSE’s here when it first opened. She spoke so highly of the college and found her time here rewarding, beneficial and enjoyable so I felt it was the best place for me too. What was your favourite thing about the UTC? My favourite aspect was the variety of opportunities and projects to get involved in. Opportunities such as attending events to meet local companies and having hands-on experience with our subjects through different companies. How did the UTC help you get where you are now? The UTC helped me gain interview experience. The opportunities to meet other people in industry and current apprentices allowed me to gain an understanding of the companies and its roles, which helped through the stages of applying for apprenticeships and successfully securing a role at British Steel. How do you find being a woman in STEM? Being a woman in STEM and the only female in my year group allowed me to inspire younger girls who were interested in engineering. At the UTC it was a great environment because I had the same opportunities and experiences as the boys. 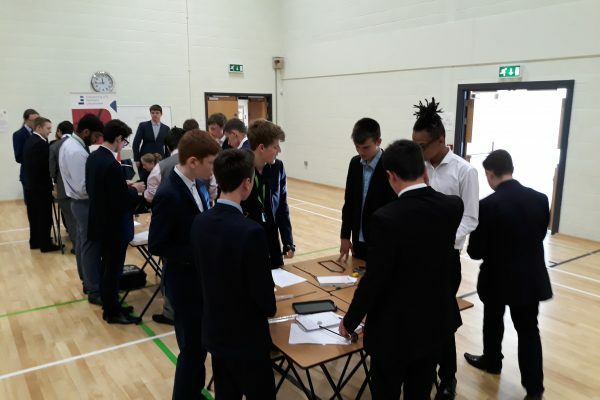 The UTC marked British Science Week on June 29th with a series of activities integrating science, technology, maths and engineering. 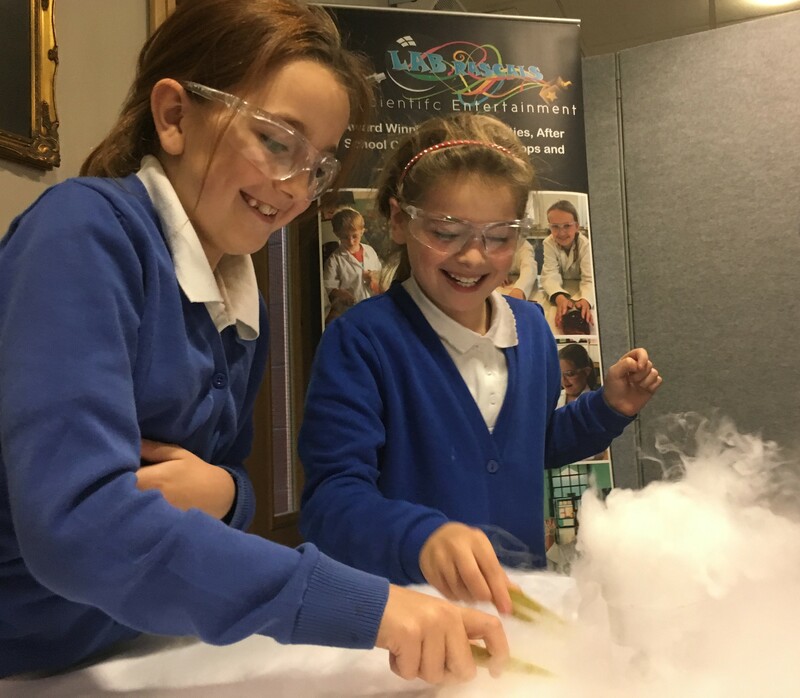 British Science Week, run by British Science Association, is a celebration of science, technology, engineering and maths with events across the UK for all ages. It’s a great platform for schools to utilise to encourage students to participate in STEM subjects through engaging events and activities. 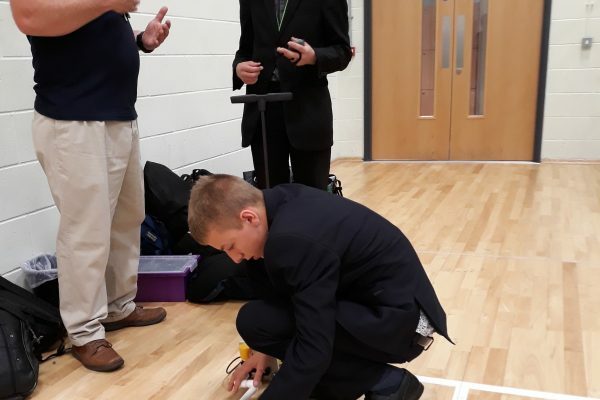 The first activity was Gyrocopters, a science based activity based around sycamore seeds in which students made paper helicopter versions and collected data to make predictions. 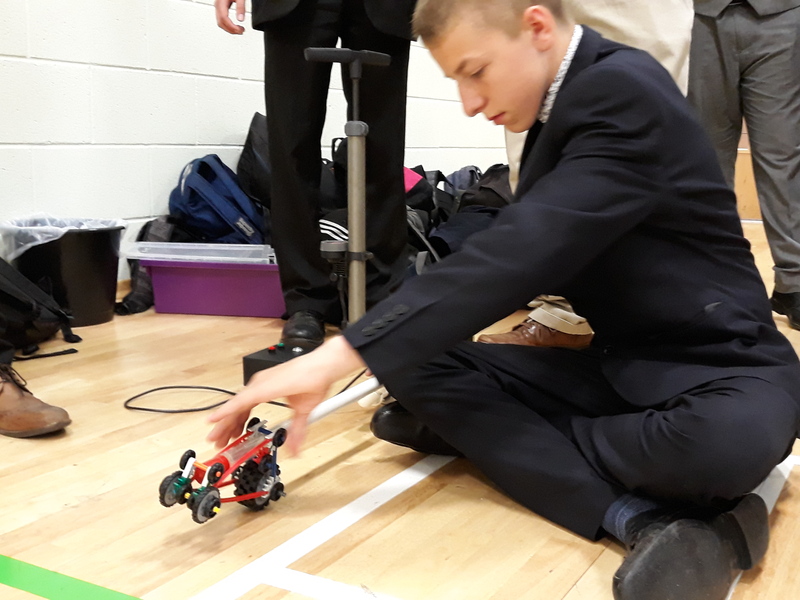 In the Robofootball activity Year 12 and 13 students played cube ball with four robots and there were a few larger robots for students to tinker with. For the Paper-Air-Rockets activity students used a compressed air launch tube to make paper rockets and launch them. Students and teachers alike enjoyed the activities. 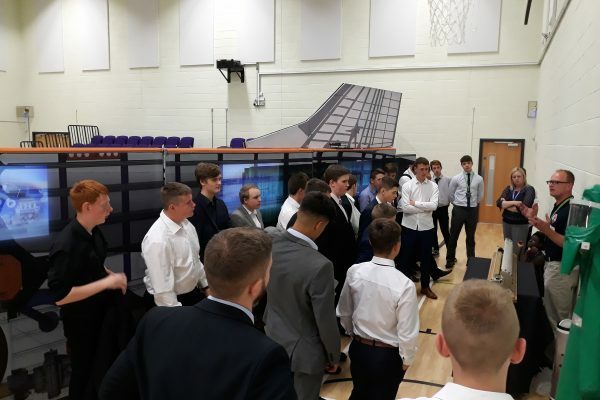 The students found it a fun way to approach their subjects and apply the theory and practical work they have been learning, building on the UTC’s commitment to providing a hands on learning experience. 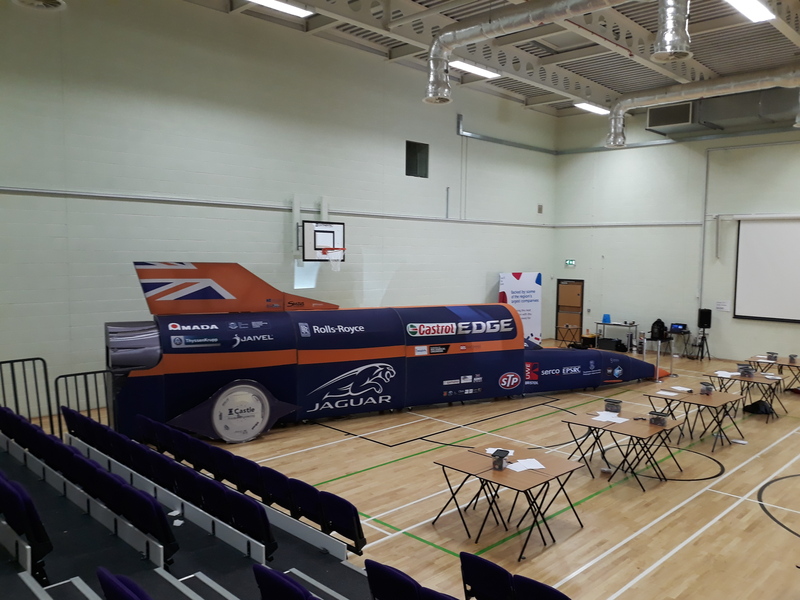 Year 10 and 12 students were given the exciting opportunity to work with Bloodhound SSC on different engineering projects and challenges across two afternoons. Bloodhound SSC is a unique, high-technology project aiming to design and build a supersonic car that will break the 1000pmh barrier and set a new world land speed record. They aim to the share engineering adventure with a global audience through working with schools to inspire the next generation about science and technology, and sharing their research and development. 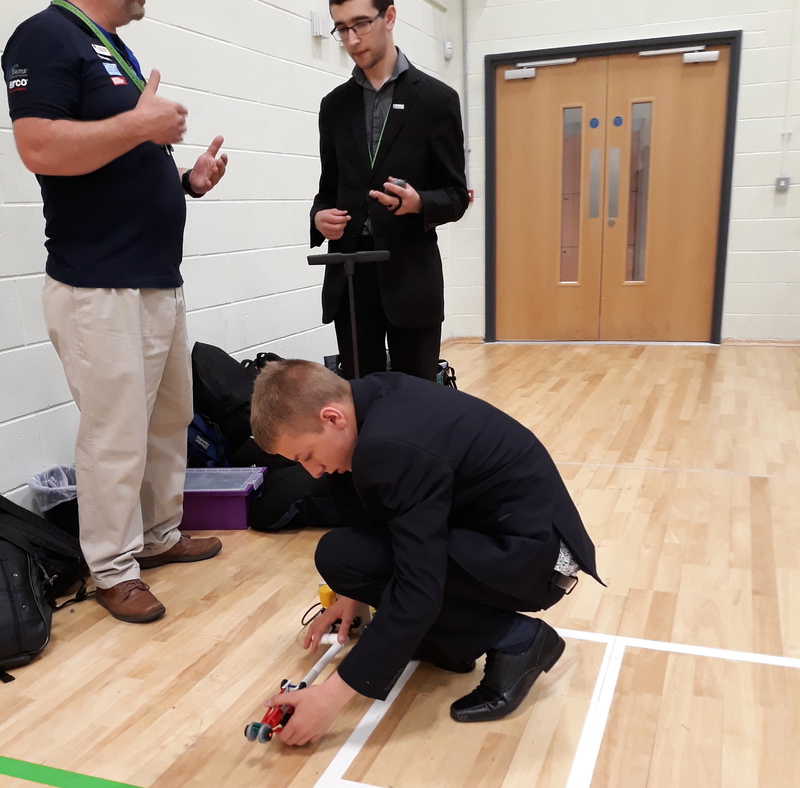 Monday 25th June saw the UTC invite other local schools to join the activities including primary schools, which gave Year 10s the chance to act as mentors to the younger pupils and develop their leadership skills. Alongside the year 10 and 12 students, on Tuesday 26th June our upcoming year 10 students were invited as part of their Transition Day to participate in the Bloodhound Project. 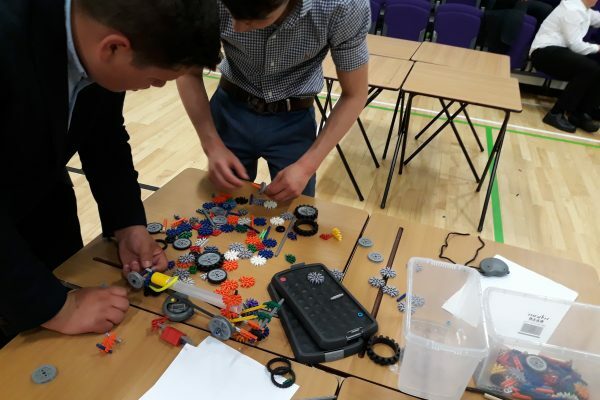 There were numerous team building activities and engineering challenges to give students an exciting insight into the adventurous and ground breaking side of science and technology. 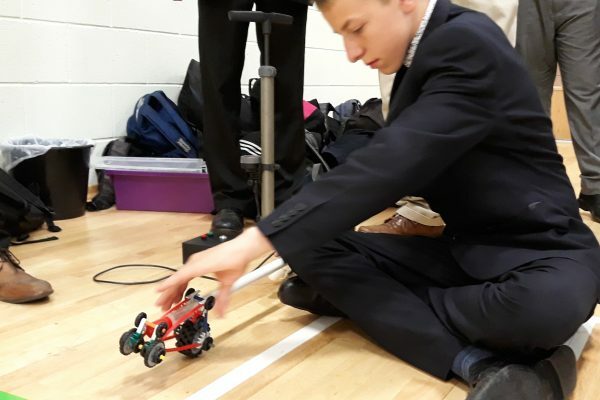 Many of the students found the event to be a fun way of seeing engineering in action. 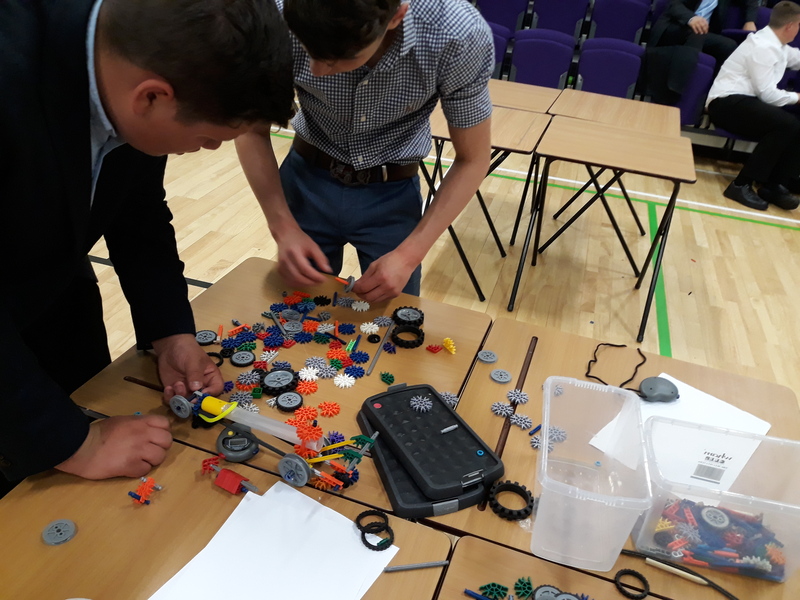 Some of the activities included constructing a tower out of paper, engineering a bridge out of Meccano and building rocket powered model cars which were modified following the evaluation of the extensive data they recorded throughout the day. 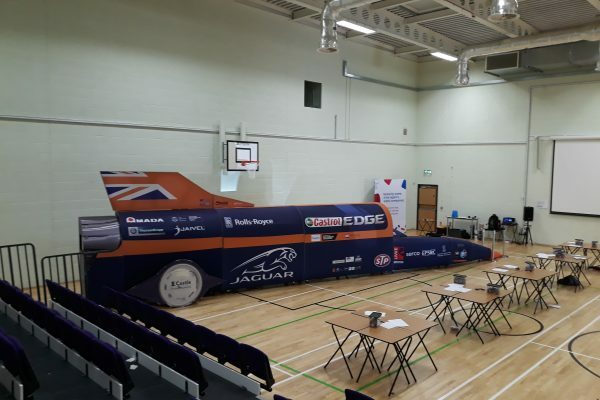 The team who won the activities and challenges will be rewarded with a certificate and most significantly, by having their team name written on the actual car’s tail fin, which will be driven in South Africa by Andy Green OBE for the world record breaking attempt. Congratulations to the winning team, ENL High Octane: Jake Foulger, Oakley Pettitt, Liam Hamblin, Spencer Lamingman and Jack Cox.